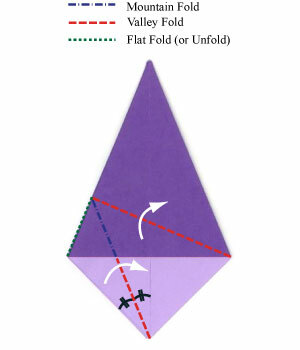 swivel-fold is a folding technique which makes an asymmetric squash-fold. 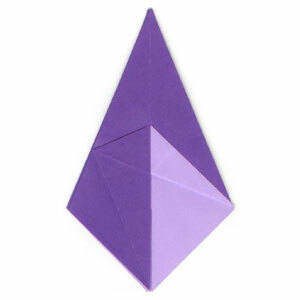 The "swivel-fold" symbol is represented by a symbol similar to squash-fold. If we apply "swivel-fold", then an asymmetric squash-fold will be applied. In the next page, the instruction will show how to apply the swivel-fold in detail.